NANJING, China — No. 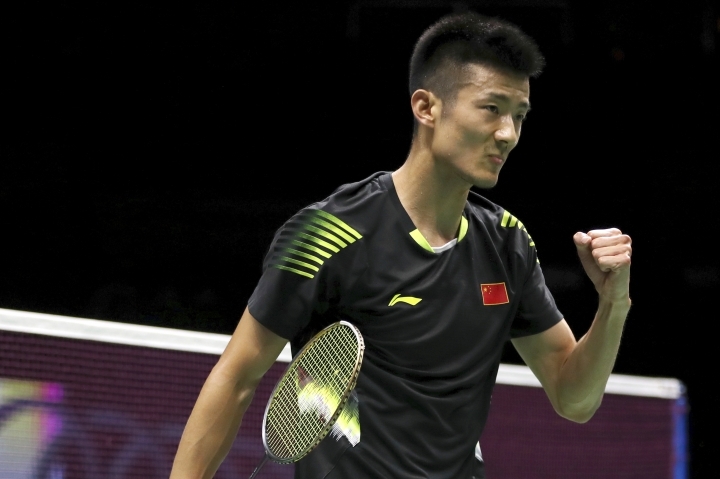 1s Tai Tzu Ying and Viktor Axelsen were knocked out in the quarterfinals of the badminton world championships on Friday. "I didn't expect to win, because Tzu Ying is such a terrific scorer, that even if I have a lead like 19-10, I won't win for sure," He said. The win represented payback of sorts for He, who lost to Tai in the Malaysia Open final in June and the Indonesia Open semifinals last month. She's through to her first worlds semifinal. Axelsen, a Dane, became the first European male winner of the worlds in 20 years last year, ending Chen Long's two-year reign. Chen repaid him by ending Axelsen's one-year reign by winning 21-19, 21-11 in an hour. 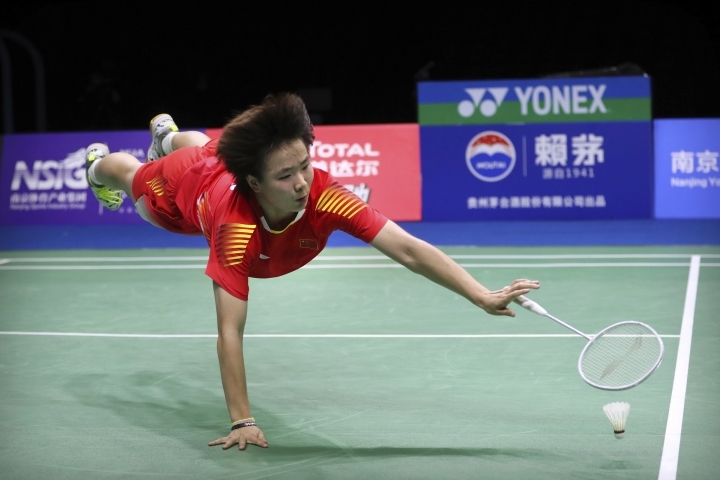 "I stuck with my tactics no matter how my opponent was doing - taking a lead or falling behind," Chen said. "I firmly believed that I could go all out to win this match." Chen will next face Chinese compatriot Shi Yuqi, who edged Taiwan's Chou Tien Cheng 16-21, 21-15, 21-18 in a come-from-behind victory. The reward for Tai's conqueror He was to face former two-time champion Carolina Marin of Spain, who dominated last year's bronze medalist, Saina Nehwal of India, 21-6, 21-11. On the men's side, the unseeded Darin Liew, who trains independently of the Malaysia team, reached the semifinals, his first at the worlds at age 30 and his first anywhere since January. Liew beat Kanta Tsuneyama of Japan 22-20, 21-23, 22-20, after blowing three match points in the second game. Momota missed the Rio de Janeiro Olympics through suspension after admitting to illegal gambling, and showed he's back in April when he won the Asian Championships beating Chen in the final.